A new montage video of Hawkeye has revealed just how many people the Avenger killed during The Avengers and Avengers: Age of Ultron. Hawkeye often gets teased for being the least useful member of Earth’s Mightiest Heroes in the Marvel Cinematic Universe, but as this montage illustrates, he can handle himself in a fight. Clint Barton aka. Hawkeye first appeared in Thor back in 2011, but has since appeared in the first two Avengers movies, as well as Captain America: Civil War. Fans were understandably disappointed when Hawkeye didn’t appear in Avengers: Infinity War; however, it is explained in an Infinity War prelude comic that Hawkeye is retired by the time the war with Thanos begins. 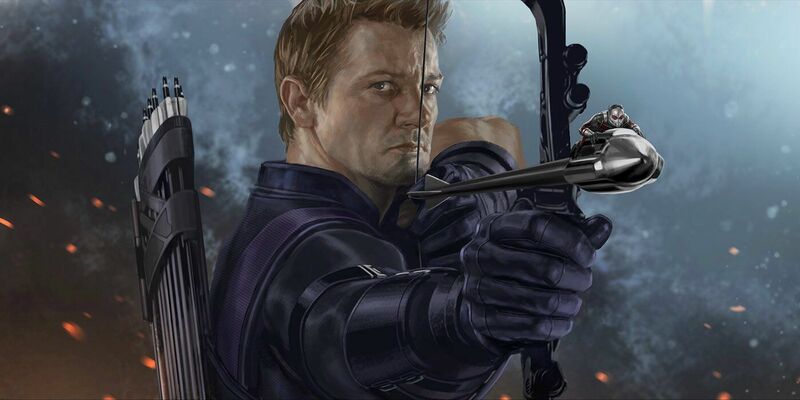 Many people question how effective Hawkeye would really be up against extraterrestrial beings like Thanos anyway – but even with just a bow and arrow, he packs a punch. Related: Hawkeye Leads His Own Avengers in the Comics – Why Not the MCU? A video recently posted by YouTube user Matt Solazzo examines the Battles of New York and Sokovia, in order to determine a definitive kill count for Hawkeye in the MCU. The clip breaks down both Clint’s confirmed kills and assumed kills, as well how many arrows he uses and how many arrows he can be seen recovering from the battlefield. In The Avengers, Hawkeye has a confirmed kill count of 19. As the video points out, however, this could be increased to around 57 since his quiver holds 32 arrows and viewers only see him use 9 arrows total – indicating that he used about 23 arrows off-screen. As for Avengers: Age of Ultron, Hawkeye’s confirmed kill count is a little higher at 21 kills. After watching this video, it’s clear that Clint could have been a big help in the fight against Thanos. Some fans have even created alternate Infinity War endings where Hawkeye saves the day by eliminating Thanos himself. Another YouTuber created a similar video that reveals Iron Man’s kill total (which, understandably, is higher than Hawkeye achieved). Even though Hawkeye may not be as strong as some of his teammates, it’s worth mentioning that this video doesn’t take into account the kills that Hawkeye would have racked up prior to being introduced to the MCU. Given the fact that he previously worked for S.H.I.E.L.D., it is safe to assume that Hawkeye has a large number of kills under his belt – otherwise, he wouldn’t have become an Avenger in the first place. While it is unknown to what degree Hawkeye will be included in the next Avengers film, fans of his can look forward to seeing Jeremy Renner as Twitch Williams in Spawn. Hawkeye hasn’t had as much screen time as some of the other Avengers, but the character is set to return in some capacity for Avengers 4 in 2019.